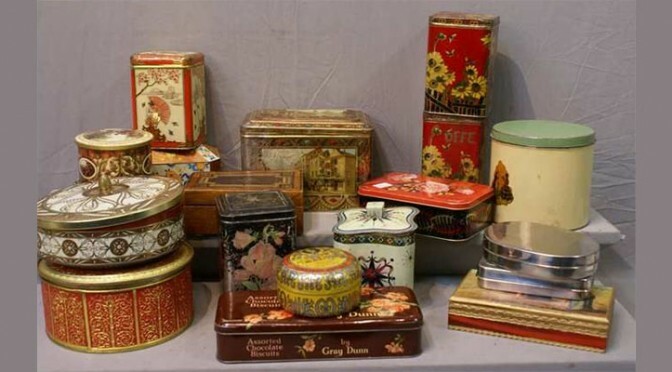 An eclectic selection of jewelry, world coins, antiques and collectibles will be available come Dec. 1 and 2 when Ward's Auctions in Edmonton, Alberta, holds its upcoming event. 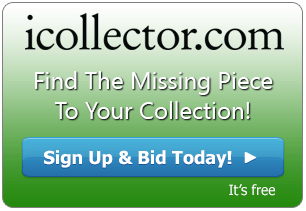 With a partnering online auction hosted by iCollector.com, the Ward's sale will offer collectors of all stripes more than 300 items that cover a huge variety of interests. For those looking to add to their jewelry collection, there are numerous items from which to choose. A pair of ladies 22-karat yellow gold earrings (lot #8) are sure to catch someone's eye, and two pendants – one an 18-karat yellow gold and malacite example, and the other a 10-karat yellow gold and seed amethyst version – will be sold off as one lot (lot #29). But those are just a few examples of the assorted collection that will also include costume pieces, rings and watches. Anyone who is more interested in odder bits from the past will surely want to take a close look at things like the three-piece lot that consists of a novelty traffic light, covered wagon lamp and three-horn wall-mounted rack (lot #140). And for the film aficionados out there, a vintage industrial projector – the "Spot Light" model TS-7 from J.Y. Taylor (lot #38) – will also be up for bid. Bibliophiles will want to peruse the collections as well. A set of Zane Grey westerns that come with a pair of cast ship bookends (lot #48) would be an excellent addition to any personal library, as would a collection of hardcover children's books that includes Aesops' Fables, Alice in Wonderland and Through the Looking Glass (lot #49). People looking to add antique decorations to their homes, or who just want to spruce their places up with some interesting pieces, will want to take a look at several items available at Ward's. Two telephones will be sold off together, and together they represent an interesting peek at the history of telecommunications. One is an old-fashioned, walnut-cased, hand-crank Northern Electric, and the other is a brown 1970s-era dial phone (lot #57). These items and many more that represent a cross-section of intriguing goods will be available to kick off December, and bidders who can't make it to the Great White North will have to log onto iCollector.com to check out the inventory.